The Mercado Central in Alicante, situated in the Avenida de Alfonso X el Sabio, is the city’s main source of top quality, fresh and locally grown produce, with 292 stalls selling meat, fish, vegetables, fruit, bread, pastries, flowers and many other foods and condiments typical to the region. 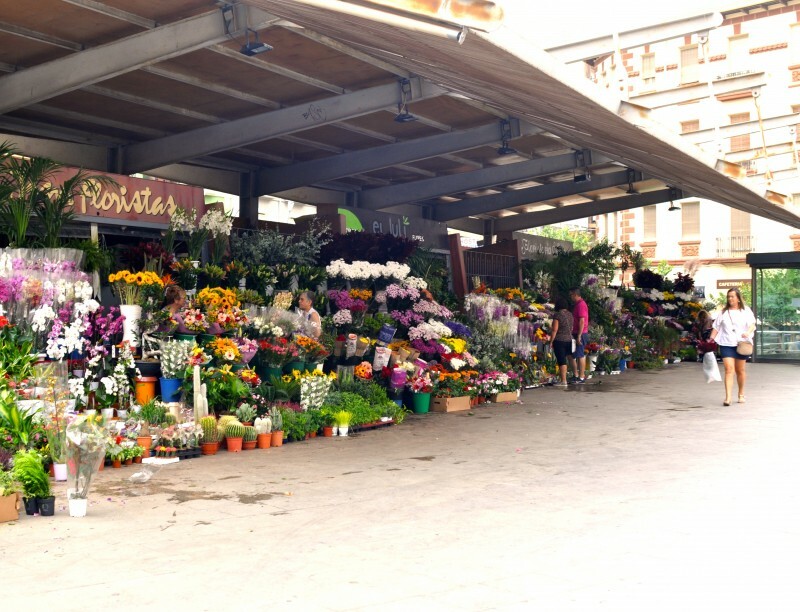 Almost all of the market stalls are owned by families from Alicante or surrounding towns and who have worked on the stalls since the market first opened 95 years ago, with their individual businesses continuing to be passed down through the generations. 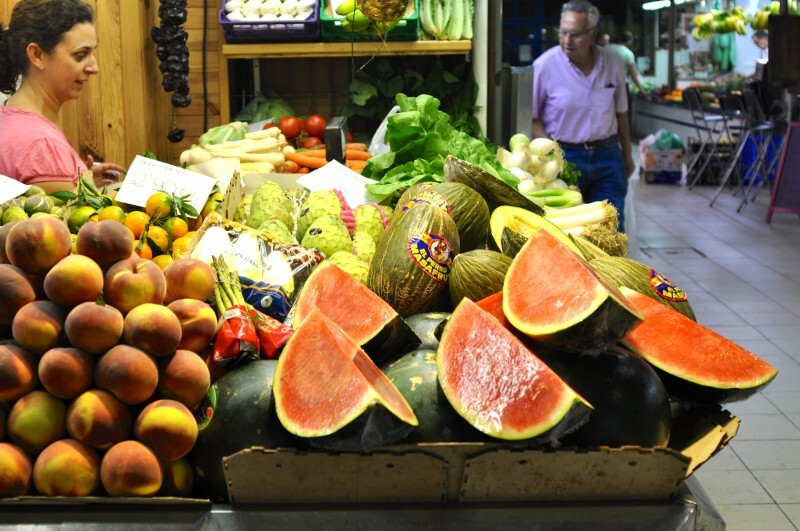 Visitors to Alicante will love the colour and bustle of the market, as well as the vast range of produce on offer. 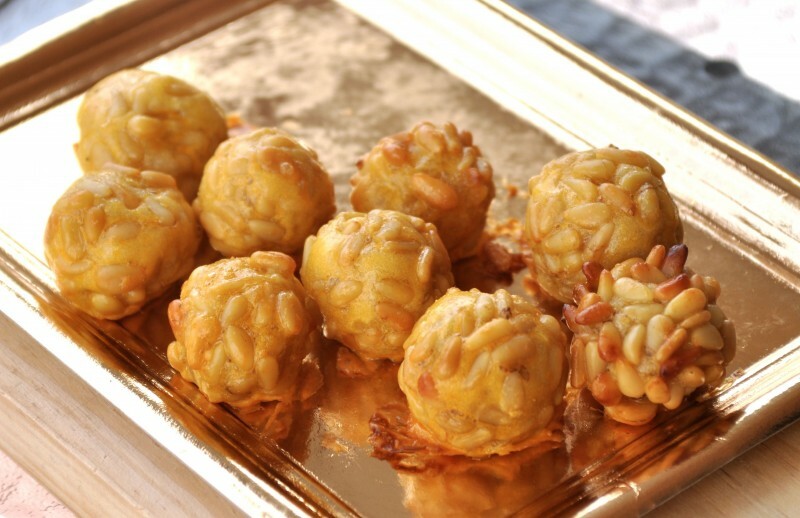 It's also a bonus for visitors to be able to clearly see the prices of produce, unlike some street markets where there are no prices shown and tourists are never really sure if they are paying the correct amount. The market is an eclectic style building with modernist ornaments designed by the architect Enrique Sánches Sedeño and built in 1921, under the supervision of Juan Vidal Ramos. It has a rectangular floor plan in the style of a basilica, topped by a semispherical cupola and with a small circular side building with a dome-shaped roof. There are two floors in Mercado Central, the ground floor selling fresh meat, hams and cheese, and the underground floor, accessed by escalators, selling everything else from fresh fish, vegetables, fruit, eggs, and bread to cakes, pastries, nuts, honey and herbs. There is also a pharmacy, a herbalist store and various bars selling food and drinks. There are three entrances, the main entrance being from the South side in the avenida de Alfonso el Sabio, which, due to the different ground levels, has giant steps leading up to the meat and cheese floor, whilst the back entrance, which is accessed from the Plaza 25 Mayo has electric doors leading straight into the same floor despite appearing to be on ground level. The circular building with a dome shaped roof is used as a third entrance from the South-West corner of the market. The Plaza 25 Mayo is a famous square in Alicante which joins onto Mercado Central, receiving its name in memory of the 300 people who died in the bombings on the 25th May 1938 when the Italian fascist air force bombarded the city during the Civil War. Whilst the plaza is always busy with florists selling their flowers during market hours, this area gets particularly noisy and atmospheric on Saturday afternoons from midday when the Alicante locals congregate here for “tardeo”, a form of leisure that has been developed in Alicante and other cities in South-East Spain in which the usual evening activities such as eating and drinking with friends in bars have been brought forward to during daylight hours, in the early afternoon. Mercado Central has particularly benefitted from tardeo thanks to the locals participating who buy their food and drinks from the stalls, and now that this relatively new phenomenon has become a well -established part of Alicante culture the market has opened up its own bars, selling tapas and sushi to accommodate the large crowds of consumers. The market is open from 07:00 to 14:30 between Monday and Friday and 07:00-15:00 on Saturdays, although there is no fish on Mondays. As many people are unable to shop at the market during the week due to their working hours clashing with market opening times, they tend to buy their groceries at the weekend, so visitors should be prepared to queue for a long time if they wish to visit the market on Saturday mornings. To avoid the hustle and bustle visitors are advised to go during the week when the majority of customers are of the older generation who are also likely to recommend the best stalls and know where to find a good bargain. It's well worth tying in a visit to the Mercado Central as part of a trip into the city to visit other tourist places of tourist interest. Cash machines are available to use inside Mercado Central as well as toilet facilities, and just metres away from the market is the entrance to the underground carpark that extends all the way along Avenida de Alfonso El Sabio.